Men and woman that are fearless, strong, and skilled fighters. Go back in history, sample literature, or choose soldiers from our current time for your Warrior inspiration. If you want to know more about the Warrior Archetype before you jump into the costumes, check out Wild Gratitude. On the female Warrior Archetype, visit Embers Igniting. Basic Cape or Hood? VELCRO® Brand Sew-On Tape has you covered with simple no-sew pattern. Gladiator? Slip into your Roman soldier persona using Velcro® brand products. Ninja Warrior? Velcro® brand products will help you transform a simple pair of black sweats into the perfect Ninja wardrobe. Super Hero? If you have 30 minutes Velcro® will help you achieve Super Hero Stardom! Speaking of Capes, Fabriclink has more Warrior costume suggestions with Calling All Heroes! Can't decide on what to be? 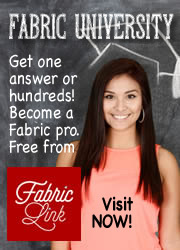 Let FabricLink help with dozens of deciding resources: Whoooo Do You Want to Be for Halloween? And don't forget to visit FabricLink's Halloween Costume Closet. Everything you need to make some costume magic. Are you a knitter? Then knit yourself (or your Viking loved one) a Viking beard and helmet free from Ravelry. HGTV gets your kid into this Viking costume in a cost effective DIY. Maybe you need a whole family of Vikings? Knut the Last Viking has it all mapped out for you. Clever no-sew Viking with lots of fake fur for kids from Instrutables. Be More Creative sends you off to vintage shop for this Viking Couple Costume. Child Viking DIY costume from I am Momma Hear me Roar. Babies are not left out of your Viking Costume dreams from Coolest Homemade Costumes. 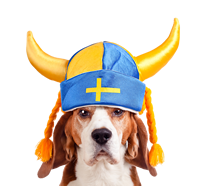 Professor Pincushion shows you how to sew a Viking costume for your pet. DIY Viking Helmet out of foam and a Battle Axe to go with it on YouTube. The Ultimate Viking Halloween Cosplay Kid Costume complete with wareable ship. Cape? No Cape? Movie version, TV classic or straight back to her comic book origin? Not sure if Wonder Woman is your Warrior Super Hero, take this quiz and find out. Make the Wonder Woman cuffs with instructions from sugar spice and glitter. Wikihow has step-by-step Wonder Woman costume for adults and kids. Is your pet ready for Wonder Woman? Niqqi's blog has a step-by step-no sew version for you. Looking for a cuff and headband detail tutorial for your Wonder Woman inspired costume? How about a Wonder Woman tutu costume? 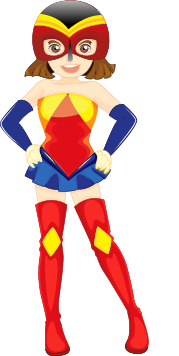 Styleogue gives you two Women Warriors for the viewing of one: Wonder Woman and Supergirl. Infant Wonder Woman costume tutorial from the Mom Creative. MilitaryFamilies.com has a wealth of ideas for solider costume detail how-to. Camo clothing ideas for adults and kids from ehow. Frugal Fun for Boys and Girls has Civil War Union Soldier costumes. Army Soldier costume including the Tank! Very nice. Adult Green Army Toy Soldier Costume from Instructables, very detailed. Kids Camouflage Face Painting Tutorial on YouTube. Want to be a soldier for Halloween, but don't know when? See 240 years of U.S. Army uniforms in 2 minutes and go from there. With so many characters to choose from, start with Pintrest for inspiration and narrow down your choice. 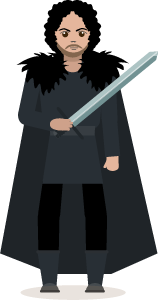 Create your own Jon Snow look. If you are going for the full Daenerys look, watch a YouTube make-up tutorial, here. Channel Your Inner Daenerys Targaryen with this Braid Tutorial from ehow. Kid versions of Daenerys and Joffrey Baratheon costumes to make. 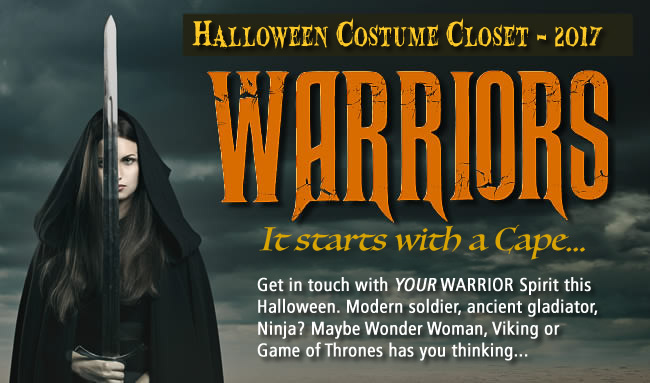 16 'Game of Thrones' Halloween Costumes for Every Budget from Yahoo. Make Game of Thrones' Costumes on the Cheap at YouTube. The many costumes of Sansa Stark for GOT inspiration. Jon Snow Cape (really an IKEA rug) see how here. Hairstyles (braids) play a really big part in GOT, get the tutorial here. Paging Supermom has a no sew Ninja based upon a pair of sweats. 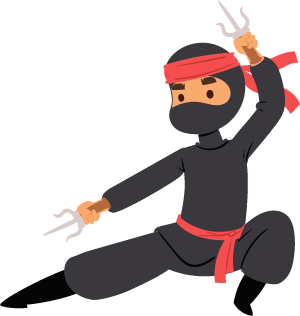 From a Ninja Party idea page come plans for headbands and swords. Another no-sew Ninja costume from HGTV with breastplate and sword. Looking for a Ninja pet costume? You'll find it and 14 other adorable ideas here. Already a Ninjago fan? DIY instructions for your costume from Holidappy and another from Instrutables. Got the costume together, now get a Female Ninja Makeup tutorial. Complete Child Gladiator Costume tutorial with pattern from FindingStorybookland. Going for more of a glam look? TryDIY Gladiator Warrior Princess costume on YouTube. DIY easy Armor with tape, saran wrap and metallic paper. Gladiator? 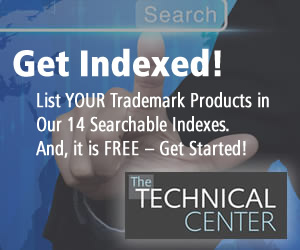 Slip into your Roman soilder persona using Velcro® brand products.